kim kruer photography » Celebrating Your Story! A Princess and the pea, and A Princess and the missing pea! Newborn in the house…and she’s a Princess! Uh oh! I had the pleasure of shooting Em’s Hospital Session the day she was born and we’ve had a few sessions since then. Documenting these two little ones as they grow and change with each session is such a privilege. El is talking now. It is so fun to hear her chatter away and make sense of the world around her. She has adapted quite well to the role of Big Sister and I think it is safe to say, she is doing a fine job under the watchful eyes of Mom and Dad, Mel and Danny. Sisters. Ahhh…so cute! I thought is would be fun to see both of these little Merbabies side by side. How cute is this???? Love this side by side comparison of these two. Em is on the left and El is on the right. Oh my! Em, following in her sister’s fin quite well! I just love these Schmeing Merbabies! I loved watching El point out her family in pictures at the studio. This kid talks. A lot. It is such a joy to hear her chatter away. You are looking at a future Fire Chief! Love this sweet shot of El. El makes being 2 look like it is so much fun! During a session, changing clothes is something we do. Em doesn’t seem to mind. So. You might be interested? It is my policy to chat with clients prior to any session. We can meet at my Montgomery Studio or we can chat over the phone. This is also a great time for you to ask me any questions you might have and plan your session. Wedding Consults take about an hour and I prefer to meet you in my studio. If you are out of town we can make other arrangements. Please contact my administrative assistant, Cassie to schedule an appointment, phone chat and for more information. cassie@kimkruer.com. 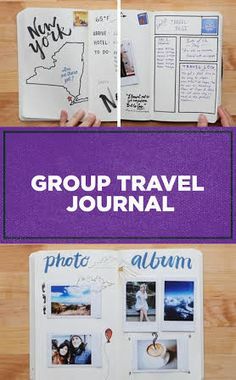 Your Guide To Travel Journaling - Materials to Use in Your Journal - Gather Before Your Trip. Inspiration for travel journaling, art journaling, and scrapbooking. Ideas on how to keep an art or travel journal, and a scrapbook.